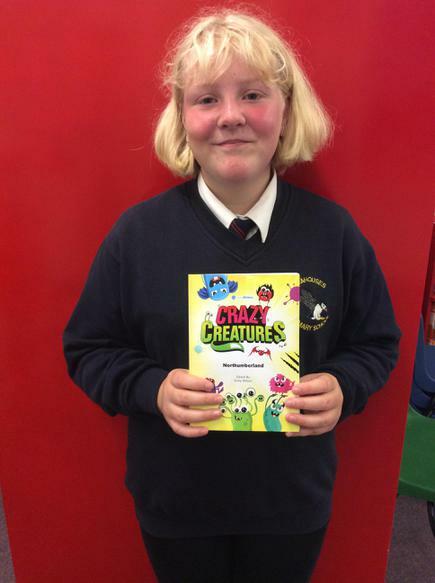 We are ecstatic and extremely proud of one of our year 5 students Rosie, who entered in to the Crazy Creatures Young Writers competition. 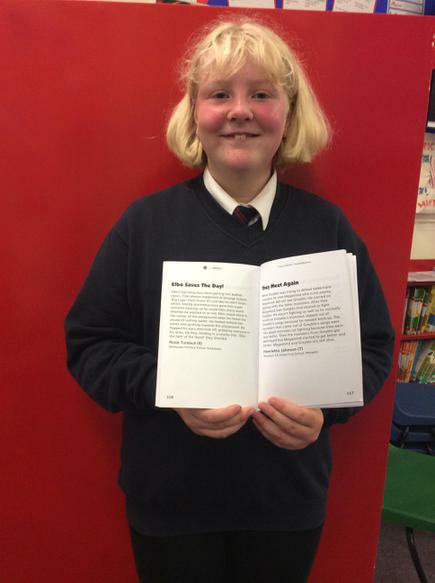 She managed to win and had the opportunity to have her story published. This creative writing competition hopes to inspire young children to get creative and get their imaginations running wild. We got the crazy creature sheets at school so that we could write our very own mini saga. Our saga had to have a beginning, middle and an end. It had to be about a crazy, pretend monster and it had to be no longer than 100 words. My saga was about a monster called Elbo, he had bat wings for ears. Elbo was being bullied at 'Strange School' but things change when Elbo saves the day! I feel really excited about my saga being published in Crazy Creatures Northumberland I never thought it would be me. I really want to be an author in the future because I want people to be able to share my imagination with me!